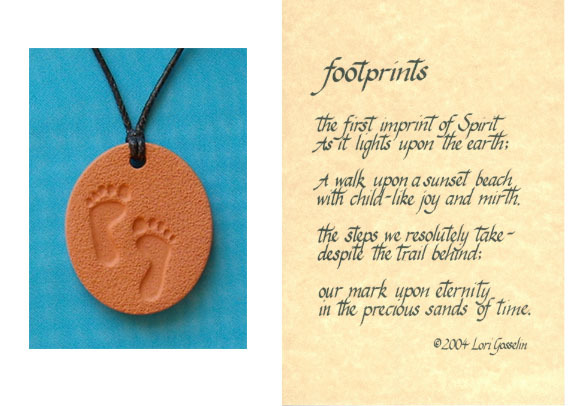 You are here: Home / Gifts / WINNER of the Terra Cotta “Footprints” Pendant Giveaway! Well, may I have your attention, pleeeease?!? WE HAVE A WINNER!!!! And the winner is…. (drumroll)…………..
Kelly, you won!!! I tried to put your name in lights but that is the best I could do. But you don’t care, because YAHOO!!! You won!! Send me your address where we can ship you the pendant at: ali@punkwife.com, and we will ship it out to you ASAP! If your name did not make it displayed in lights on my blog, don’t worry, I have more giveaways planned! And if you loved the pendant, you can grab one here. For $8, you can’t go wrong! You can snag a bottle of Lavender oil (great calming effect for parents and baby), HERE. Congrats again, Kelly! Email me your address at: ali@punkwife.com. Thanks for playing! !